Being an effective leader in a time when the world is undergoing such complex and rapid change that it’s been called the fourth industrial revolution by the World Economic Forum isn’t easy. Leadership tenure is shrinking. PwC’s CEO Success study, released last year, found that chief executive turnover was at 16.6 per cent – up from 14.3 per cent in the prior year. Employees are struggling to cope. The Deloitte 2014 Human capital trends study, which surveyed more than 2500 companies in 90 countries, found one of the biggest challenges to be the “overwhelmed employee”. Having effective teams that can secure outcomes and leaders who nurture the right environment to enable them is crucial. It’s much easier for a leader to sit back and identify how team members or colleagues need to change, than to identify what may need to change in them. To lead effectively in a changing environment, however, leaders need to understand themselves and then be open to shifting their operating style and behaviour to adapt to the new environment. Their mindset will affect their willingness to do this. Stanford academic Carol Dweck found that people have a fixed or a growth mindset. People who have a fixed mindset see intelligence as static – a fixed trait. Consequently, they always want to look smart and have all the answers. They believe success is based on talent alone – not work. They ignore feedback and struggle to cope when things don’t go to plan. In contrast, people with a growth mindset believe intelligence can be developed through effort. They are, therefore, more eager to embrace learning, take on challenges and persist, despite setbacks. They love learning, often display higher resilience, and are more willing to learn from others and receive feedback. Many leaders fall into the trap of taking the path of least resistance and making decisions that are easy and popular, rather than difficult. Effective leaders recognise that complex and adaptive problems are not solved by the ‘quick fix’. They know when they need to make deliberate decisions. There are varying statistics on the number of decisions adults make every day. However, a large percentage of decision making is automatic and habitual, rather than deliberate. Academic researchers, Bas Verplanken (University of Bath) and Wendy Wood (Duke University), found that more than 40 per cent of the actions people performed each day weren’t decisions, but habits. Habits are helpful, as they conserve the brain’s precious energy reserves, but they are not helpful if it means the leader fails to alter their approach, ideas and thought processes to factor in changing circumstances and information. For leaders facing unchartered territory relying on what they have always done before and using default thinking patterns is fraught with danger. To minimise the risk of default thinking leaders need to broaden their field of view and take deliberate steps when they make critical decisions. This includes not just looking for evidence to support ideas, but actively looking for opinions and data that disprove it. It also involves the leader encouraging constructive debate and welcoming diverse views, including listening to the silent minority. A leader’s brand is defined by the actions they take and how those actions are perceived by their colleagues, peers and team members. People notice what a leader does and doesn’t do, particularly when there are variances between what a leader espouses as their leadership values and their actions. How a person treats someone else shouldn’t be determined by hierarchical position. Effective leaders act with integrity and build collaborative partnerships with the people around them. They understand that organisational dynamics are different today (and into the future) and that to be successful it is less about hierarchy and more about building constructive networks. They are also conscious that hierarchy quickly changes. This means that who they work with and need to rely on to back an idea changes constantly. Consequently, they take a long term view of relationships. A leader who ignores and mistreats people who are currently in less powerful or important positions does so at their longer-term peril. The statistics on organisational productivity aren’t healthy. A 2012 McKinsey Global Institute report found that the average office works spends 61 per cent of their working week writing emails, searching for information and communicating internally. While US data, which is easily extrapolated into the Australian context, found that professionals lose about 31 hours a month participating in unproductive meetings. 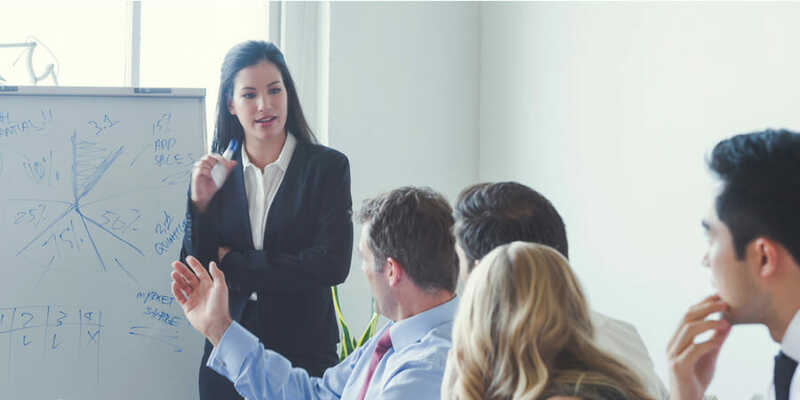 The less team members are able to build constructive relationships, negotiate outcomes and communicate successfully, the more the leader is required to intervene, remove roadblocks and arbitrate decisions. All of which consumes precious time. An effective leader knows they can’t do it alone. If a leader wants to get more traction and make faster progress, they need each team member operating optimally. It’s almost impossible to achieve this if team members can’t influence stakeholders and decisions. Leaders need their team to be able to influence them – just as much as they need to be able to influence. Underpinning all those skills is the person’s ability to understand themselves and what drives their behaviour. It is only by having this insight that they are best able to regulate their emotional responses and actions, which is critical when seeking to influence others. Lastly, effective leaders are curious and open to change and continuously improving themselves. They also don’t abdicate their responsibility. They know the role they need to play. They don’t delegate it to others, whilst accepting they can’t do it alone. If leaders want to accelerate their progress in complex environments, they need to embrace their role in the change and empower those around them to act. Step up and lead.